home, office, restaurant or outdoor space. 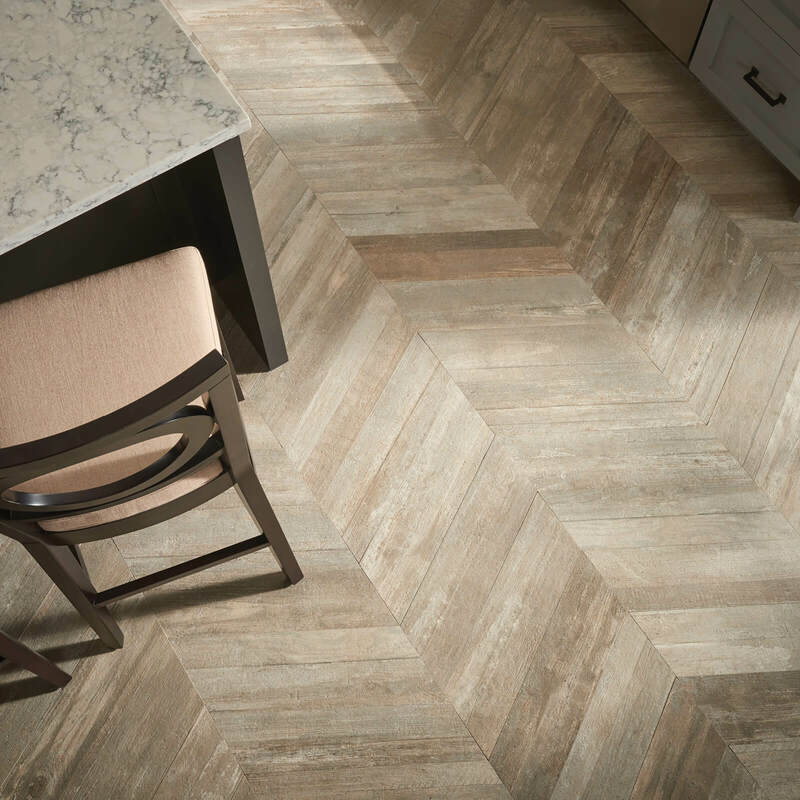 Within the home, you can update your kitchen, bath, and whole-house projects with this flooring solutions. 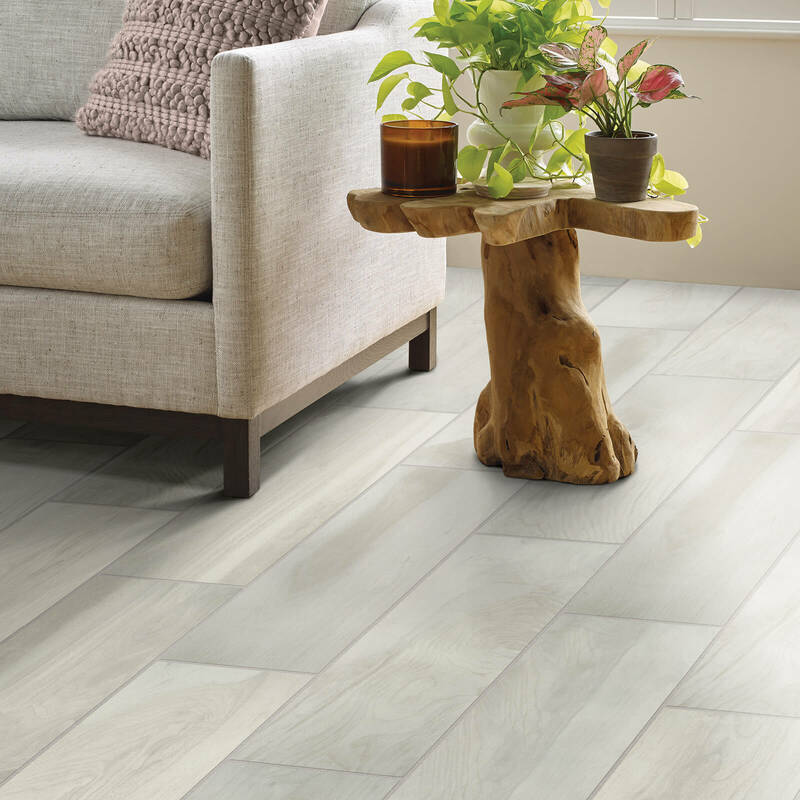 Tile flooring comes in several varieties and styles including natural stone, porcelain, ceramic and luxury vinyl tile (LVT). 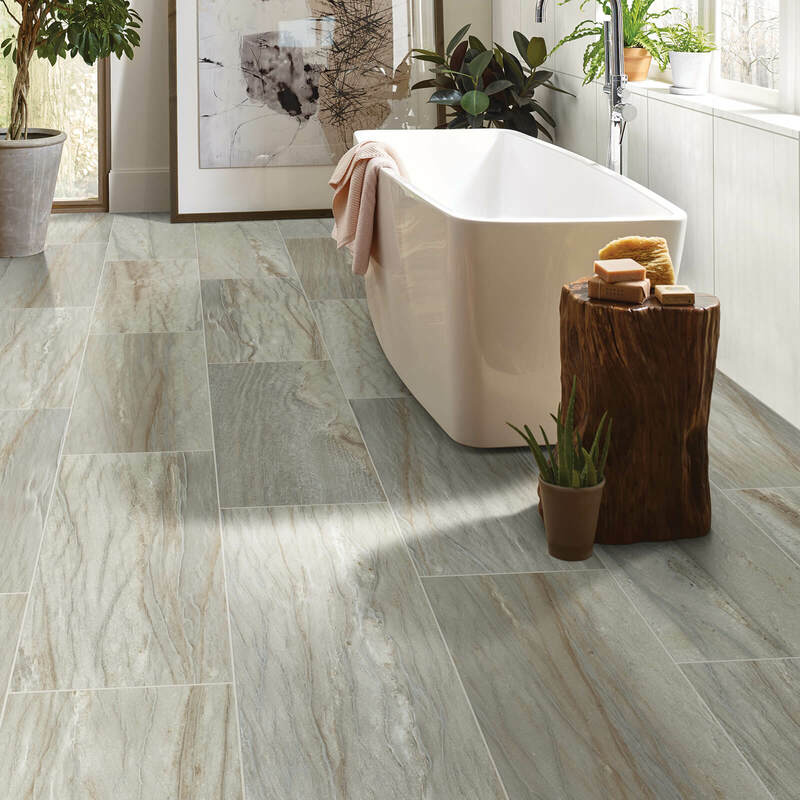 Browse our selection of ceramic and stone tile looks online and find the perfect solution for your home! 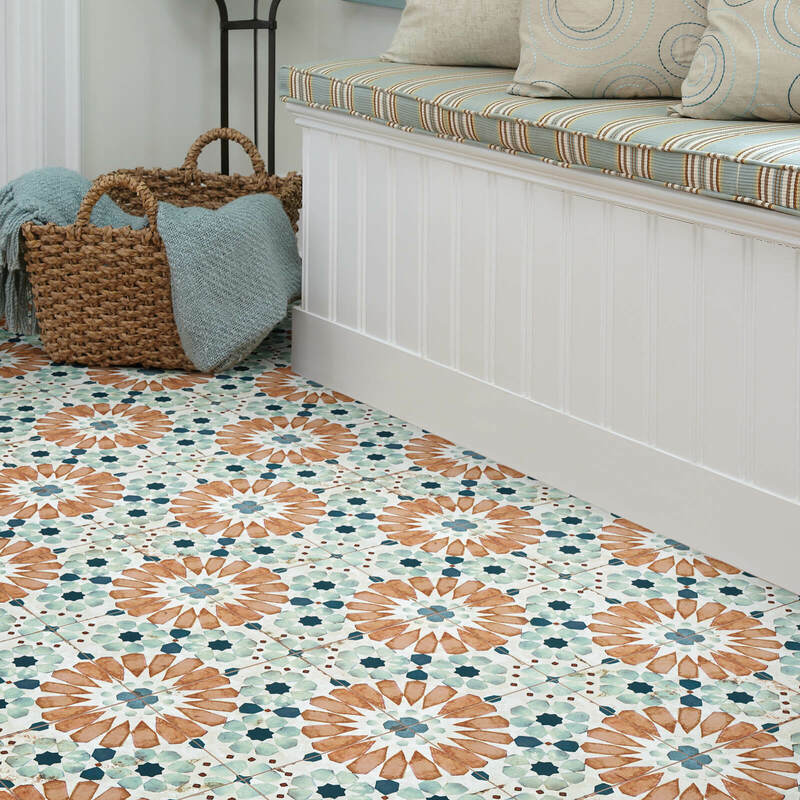 Get inspired to use tile flooring in your own home when you check out our gallery of room designs. Getting ready for your own tile flooring installation? Check out this guide from our experts and learn how to prepare for installation day! To keep your tile looking new and performing at its peak, proper care and maintenance is key. Learn how to clean your tile floors directly from the flooring experts here at Carpet Advantage. is molded from clay, pressed and finally heated under extreme pressure to form this rigid material. There are two main types of ceramic tile. The ceramic tile can be manufactured to be glazed or unglazed. Glazed tile is fired a second time to give the clay tile a glass-like, often adding color variations throughout the surface coating. A glazed tile provides the added benefit of increased resistance to stains, scratches and moisture unlike an unglazed ceramic or natural tile. Marble is a metamorphic stone well known for its elegant appearance. It’s more porous and therefore recommended for decorative use rather than practical purposes. Tile is a versatile design material, well suited to many areas of the home. While tile is commonly found in kitchens and bathrooms, it can be installed in other areas including laundry, basement, and even outside living areas. When installing tile flooring, pay close attention to the tile being installed as different techniques must be used to lay tile. Ceramics, especially porcelain, are often more durable than stone, especially when glazed. You can’t drop them on each other as many will break or shatter before the floor is even installed. Using a natural stone, such as a porous rock like limestone, doesn’t work well in bathrooms or kitchens applications where liquid spills are common. However, a glazed tile or a waterproof LVT (luxury vinyl tile) option in either location would work well. Finally, don’t forget that tile can be used decoratively in other areas of the home. Popular locations for tile include on various walls and backsplashes to highlight aspects of your design. A glass tile is very popular as it helps accents the other tiles being used. 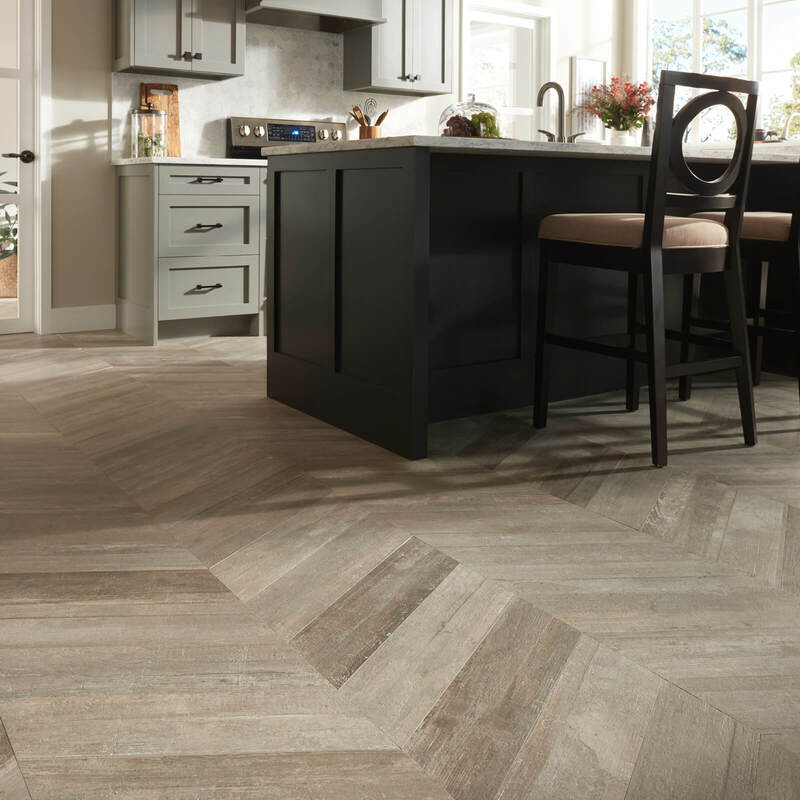 Learn more about the versatility of tile as a flooring and design material when you chat with the experts here at Carpet Advantage, either in-store, by phone or contact us online. We’re here to help – so come and visit today.